Tony Seaton is a sixth generation, upper East Tennessean who has practiced in Upper East Tennessee for over 38 years. He started his own practice 34 years ago concentrating his skills in serious injury law. In the past five years Tony and the lawyers in his firm have spent hundreds of hours per year developing state of the art trial skills through the Keenan Trial Colleges. From 2012 until 2018, Tony served on the Access to Justice Commission appointed by the Tennessee Supreme Court. During that time Tony traveled across the state recruiting lawyers to start free legal advice clinics in most all of the judicial districts in the state. 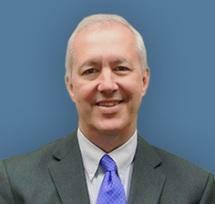 Currently, Tony serves as a faculty member and Co-Dean (Deposition College) of the Keenan Trial Institute.